If you are looking for skilled and professional sprinkler company in Rexburg, then look no further than Creative Design Landscaping. Our professionals have the skill and know-how to install high quality and affordable sprinkler system for your home. Creative Design Landscaping is the top of the trade for landscape design, build and maintenance work, and we provide these services in the areas of Rexburg, Rigby and Idaho Falls. We offer personal consultation, design and installation of top quality sprinkler systems that will work for a long time and save you money. We use quality materials and experts in water efficient design. Our expertise can properly deal with diverse watering requirements that will work with efficiency and proper water consumption. Our professionals are leaders in their knowledge of expert sprinkler system services which is why we are able to provide top-level services and create cost-effective and the best working sprinkler system possible. Our mission is to provide the expert sprinkler system services and we see to it that your job will be done right the first time. We offer a one year warranty on every sprinkler system we install in our service areas. You have peace of mind knowing that you don’t have to spend any money in case any sprinkler system issue happens after the installation. We’d be glad to come back and fix the problem. 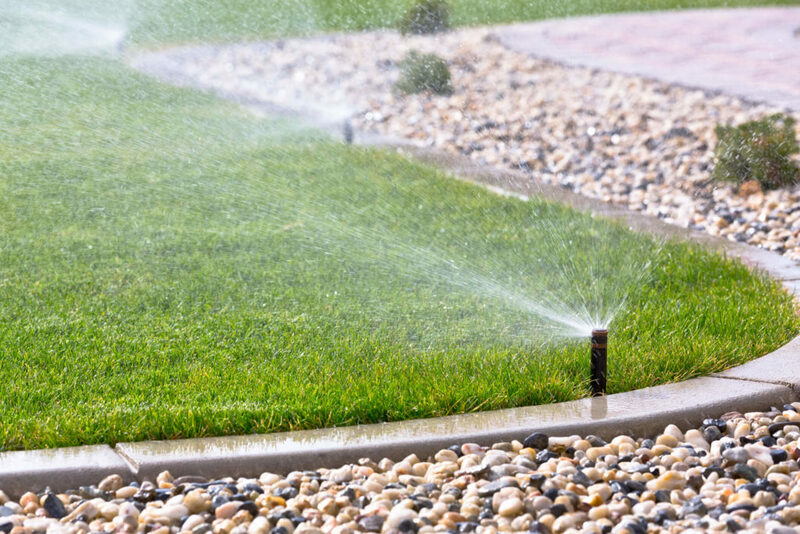 Whether you are installing a new sprinkler system, installing an additional system, or starting fresh with a full system replacement, you can count on our experienced and fully trained professionals help you out with your sprinkler system project. We have an unmatched commitment to excellence so you can expect a job well done. For quality sprinkler installation services at reasonable prices, Creative Design Landscaping is here to help you and your sprinkler and drip system needs. We offer free estimates for our sprinkler installation service. Contact us today to get started on your sprinkler system!